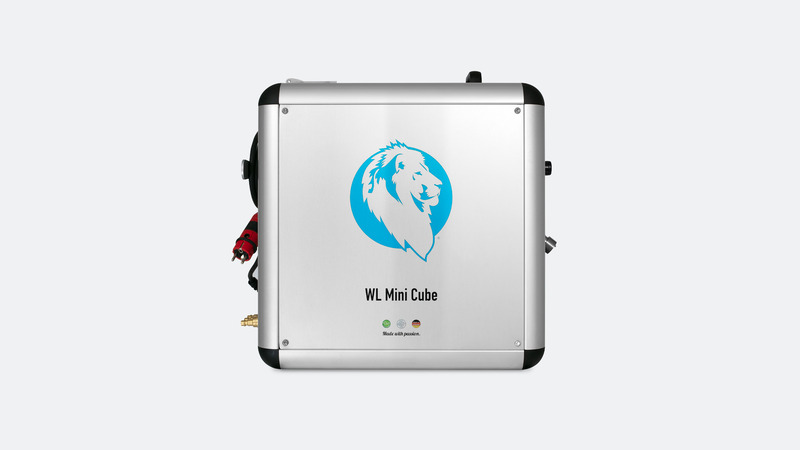 The White Lion Cube is really a cube. Its dimensions 45×45×45 cm with a weight of about 45kg live up to its name. A completely new development is the integrated dry ice mill work, a kind of mill, which crushes the required 3mm dry ice pellets continously to the desired dimension. The dry ice micro particles are formed that way. These fine C02 micro ice particles allow at the same time a gentle and effective cleaning of moldings or tools. 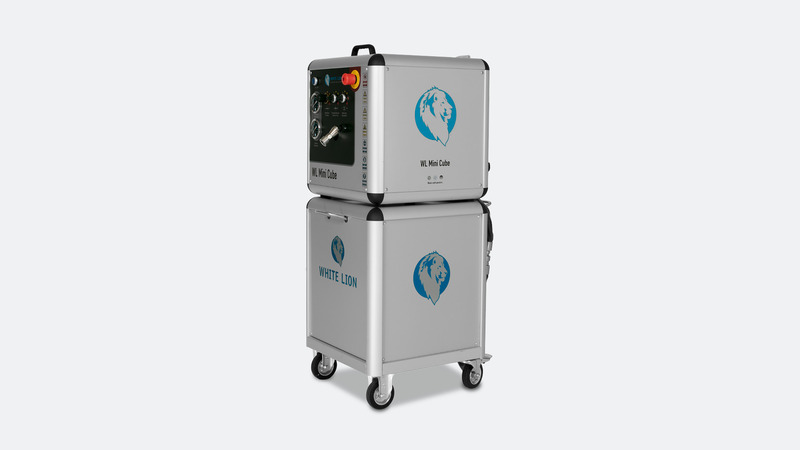 These microparticles permit a special access to surfaces and materials that are not attainable with traditional dry ice blasting. 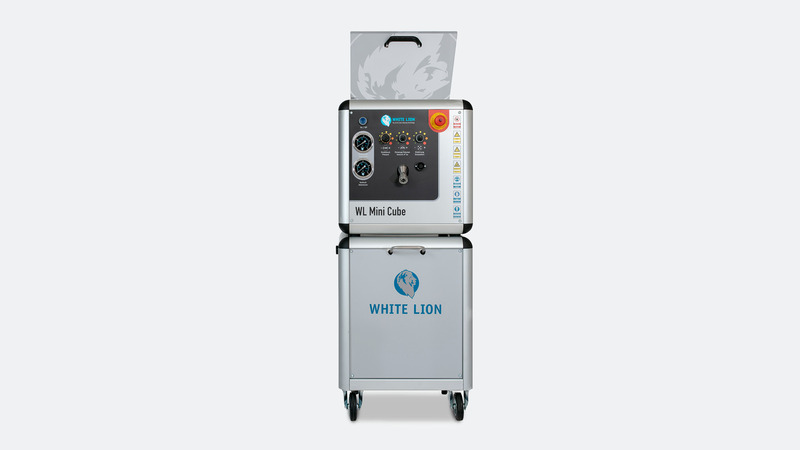 The application areas of the White Lion Cube include plastics, injection molding, laboratories, technology developments but also a cushion (train, bus or vehicle) or cockpit cleaning is ideal for this compact dry ice blasting unit. Find further innovative application options in the menu item Application Areas. 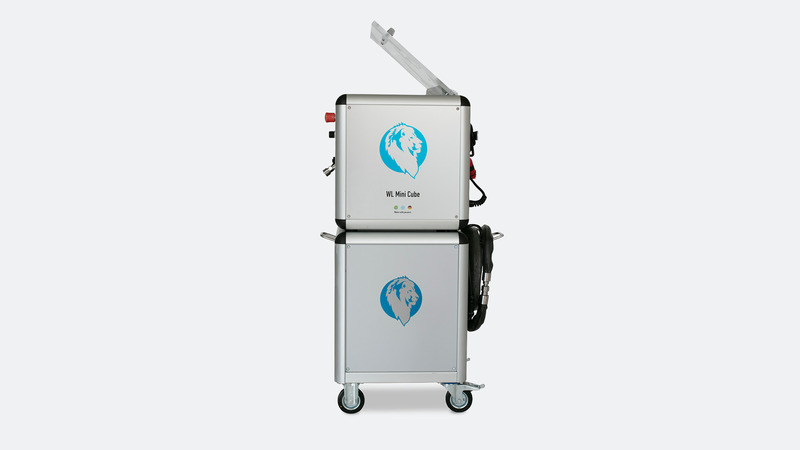 The cube can be used from an airflow of 0.5m3 per min. Airflow and an air pressure of 0.5 bar produce amazing cleaning results. Its four 5 mm compressed air connections are highlights. Enough volume flow (on the part of the customer) provides a faster tool processing. 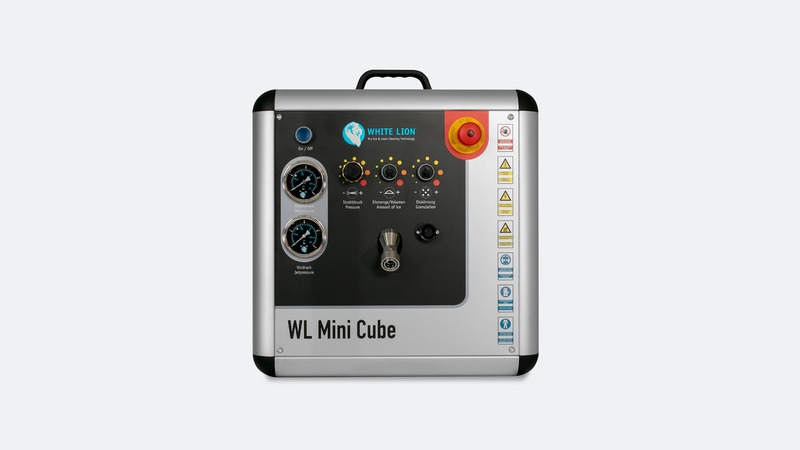 Therewith its performance is comparable to a 3/4 “dry ice blasting system, such as our WL 1500 Competition. 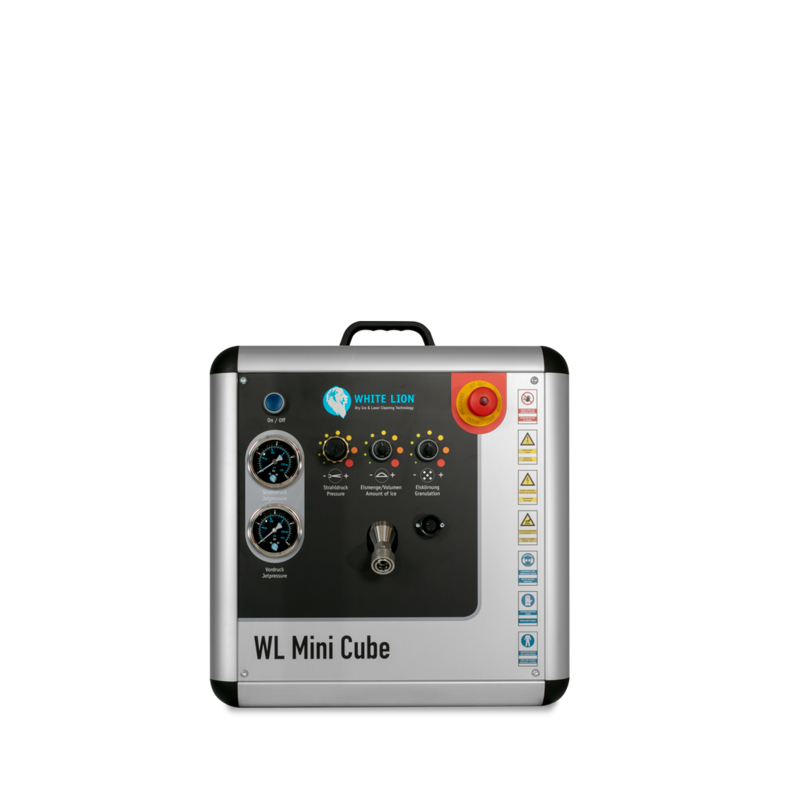 The approved useful glass lid, which is used in all White Lion dry ice blasting systems, can also be found in the White Lion Cube. That way you can easily see the amount of dry ice. 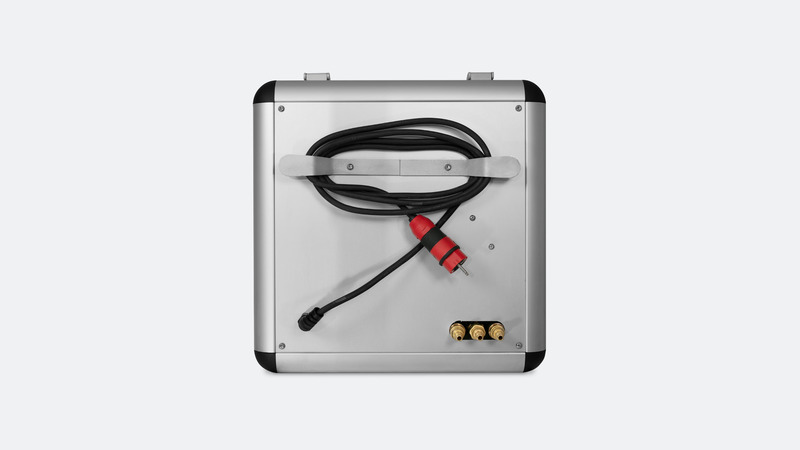 The hopper is made of stainless steel and has a high-quality insulation. Stay mobile and comfortable in your production on the way. 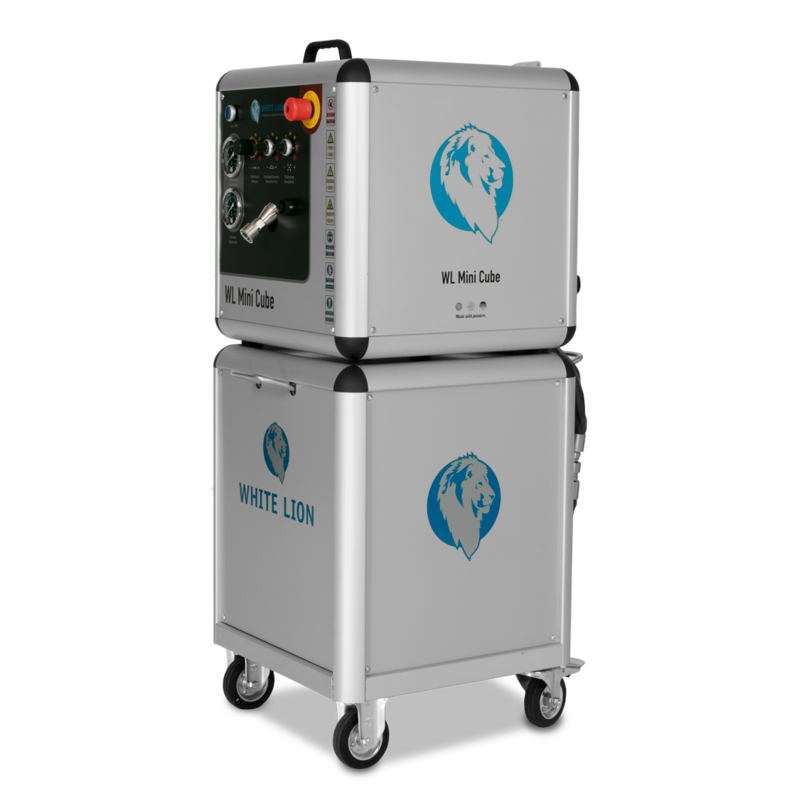 As an accessory, there are two different sized cube trolleys with space for a 30kg or 15kg dry ice box as well as industry-specific tools. Further accessories can be found in the menu item Accessories.